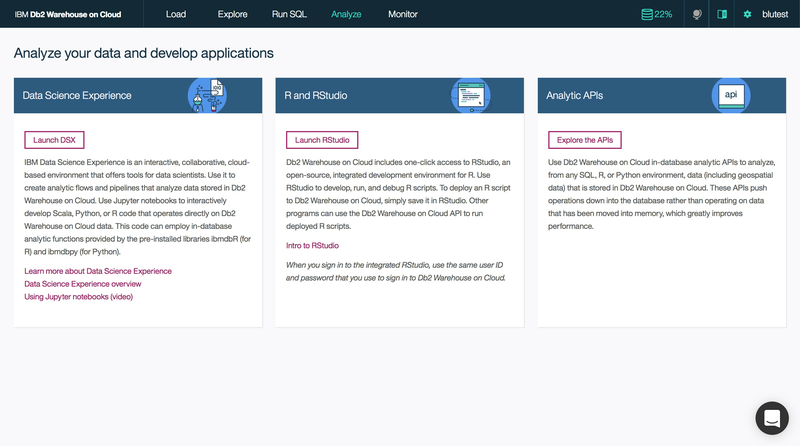 What is IBM Db2 Warehouse on Cloud? 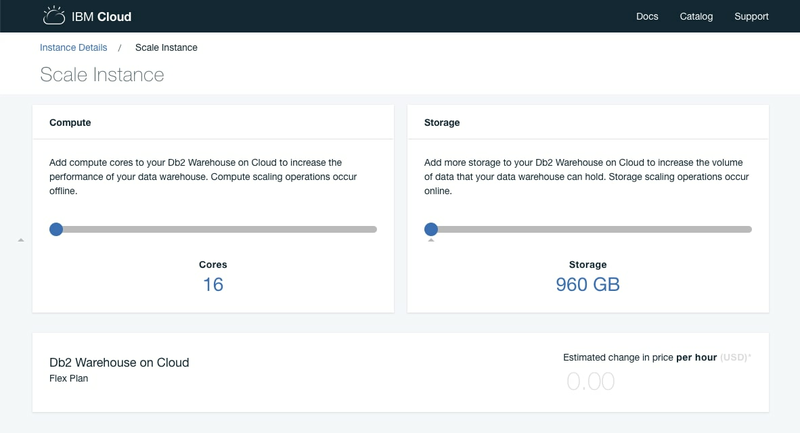 IBM Db2® Warehouse on Cloud is an elastic, fully managed cloud data warehouse service that's powered by IBM BLU Acceleration® technology for increased performance and optimization of analytics at a massive scale. 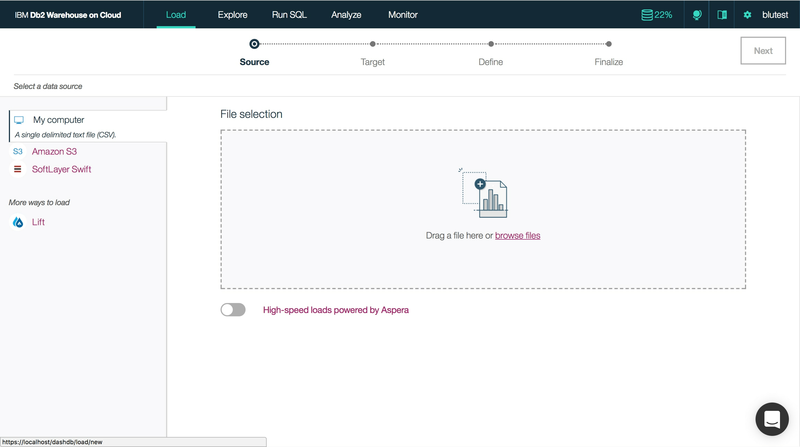 Use the console or REST API to meet the needs of your business while adjusting compute and storage resources to meet performance requirements and optimize costs. Your cloud data warehouse instance is managed, monitored, encrypted and backed up by IBM, so you can focus on data analysis instead of administration. Schedule backups timed around and based on your business requirements, and retain up to seven backups that can be used to quickly restore your cloud data warehouse, if the need arises. 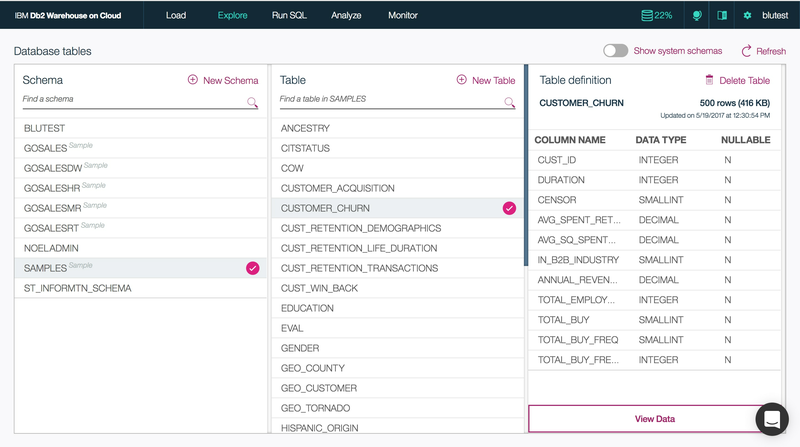 Write SQL for your application,dr dashboard, and easily deploy to any form factor (example: IBM Integrated Analytics System). Nearly all of your Netezza® and Oracle workloads will move seamlessly to the cloud and, for select few cases, IBM offers migration services and free tooling. Take advantage of a collection of key performance technologies developed by IBM Research, including in-memory processing, actionable compression and data skipping. Optimize costs for your cloud data warehouse, while meeting the performance requirements for your business. Offload your big-data projects to a database optimized for the job and localize your data close to the organizations and teams that need it. Take advantage of elasticity, performance and cost savings, with cloud warehouse pricing and business agility through the IBM Cloud™. Reduce the high maintenance costs and lost time consumed by tedious administration. Instead, keep focused on your objectives to deliver the highest-quality data analytics to your users. Did you know that IBM offers proof of concepts for Db2 Warehouse on Cloud?